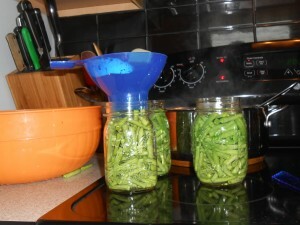 I started canning about 5 years ago, primarily jams and jellies. And then pickles, beets and tomatoes because they are processed using a hot water-bath method and that simply involves using a large soup pot with a lid. 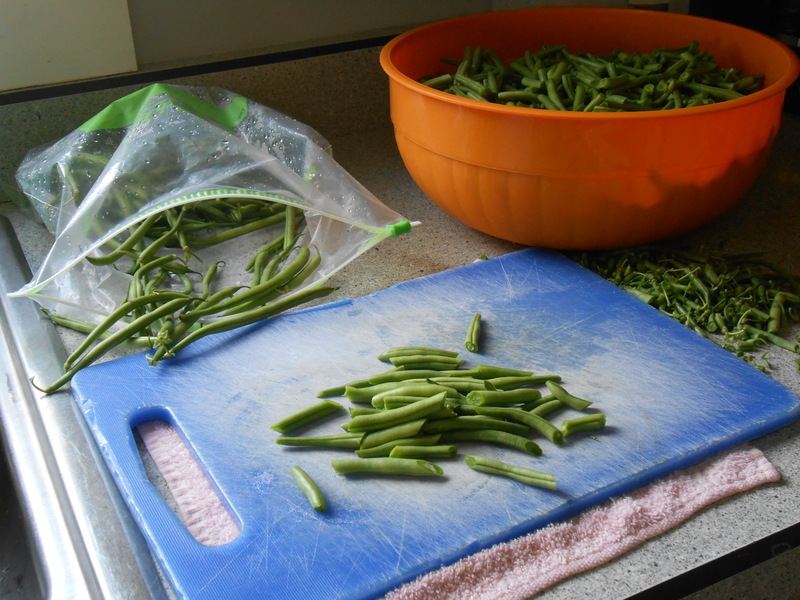 I haven’t been able to preserve other produce that I grow in my garden except to freeze it, until now. For my birthday this year the kids bought me a pressure canner. Ooo, fun! My mom and grandma, and pretty much everyone else’s moms and grandmas that I knew, pressure canned all kinds of stuff. So, honestly (I thought), how hard could it be? Challenge accepted! 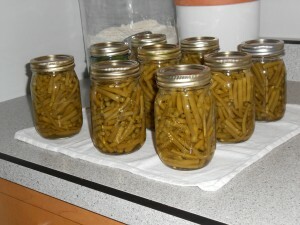 I only planted 2 twelve-foot rows of green beans, so it took a few times of picking to get enough to fill the canner. But then, I was ready to go. First, I washed them and snapped off the ends. Then, I cut them into the recommended 1 – 2 inch pieces. 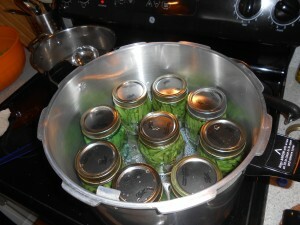 Then, I packed them into the hot jars, poured boiling water over them and twisted on the two-part lids. This is the point at which I start questioning things. Why is everything have to be hot, but the beans are cold? Screw on the rings without over-tightening, but how tight is that? Anyway, I realized I was over thinking things. I mean after all, it’s not rocket surgery (this pun brought to you by “Raising Hope” on Fox). 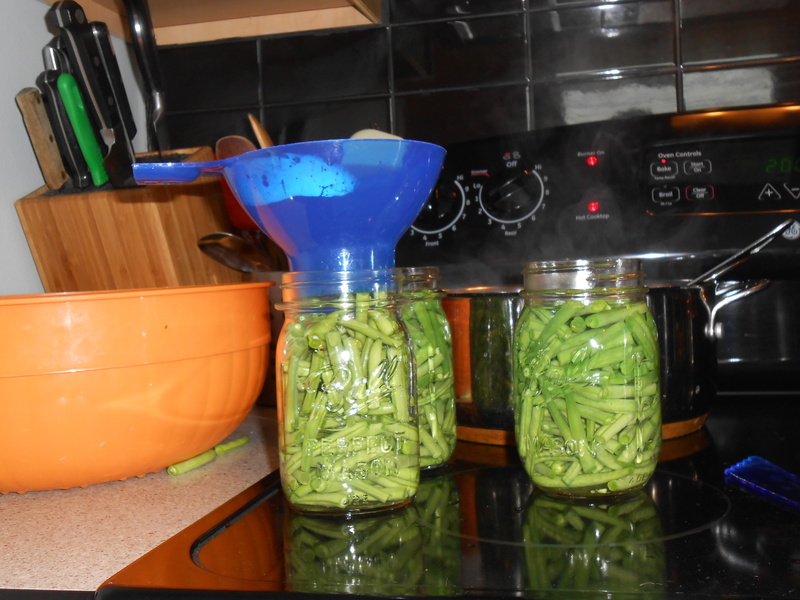 So, with nine pint jars full of green beans in the canner, I secured the lid and waited for the magic to happen. That is, until it seemed like it was taking too long to get steaming, then I called my mother. You know, for moral support. Fortunately, she was able to talk me off the ledge and things started rocking and rolling. Finally, it was time to open the canner and see if I had been successful. Success when you are canning is indicated by this thrilling little “pop” noise that tells you the lid has sealed. I am pleased to report that 8 out of 9 of them did seal. The one that didn’t seal, went into the refrigerator and later found it’s way home with the “old man” along with what was left of the chicken from Sunday’s dinner. Now, the possibilities are endless! This entry was posted in Uncategorized on August 3, 2013 by Angel Garden Farm.